Revamping my old shoes meant more than painting them but also lining them with jean scraps to make them more comfy and hopefully get them to last a bit longer. More pics at my blog! 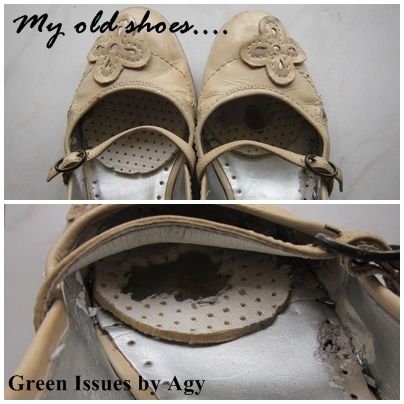 Nobody would say they are the old bege shoes. Beautiful colour. 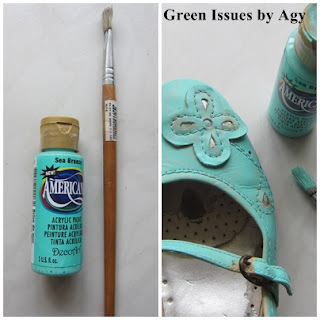 Love how you have given the shoes a new lease of life. I love the color. But even more meaningful t me is the lining with jean fabric. That is genius! My favorite Keens have a worn spot that makes them very hard to keep clean (which means my feet get dirty). Great idea. Beautiful colour. They look great.